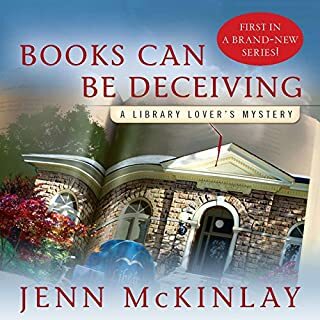 In the midst of the annual Halloween frenzy, TJ finds herself pulled into a series of events at the high school where she works. 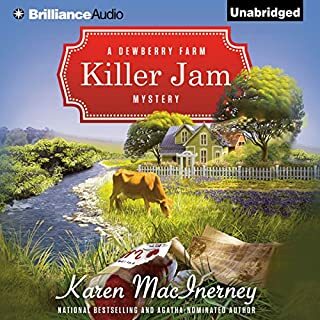 Not only must she help one of the girls on her team deal with a case of cyberbullying, but she must help a student who has recently suffered a personal tragedy. And as if TJ wasn't busy enough, in walks Samantha Colton, a reporter for Second Look, a television series that takes a look back at unsolved murders. This time the case is the death of a popular student after the homecoming dance 10 years before. To make matters even worse - or maybe more convenient - the graduating class of the victim is in town for their 10-year reunion and all the suspects just happen to have converged on Serenity for the weekend. When Samantha turns up dead, TJ must track down someone who seems willing to kill again to keep their secret. 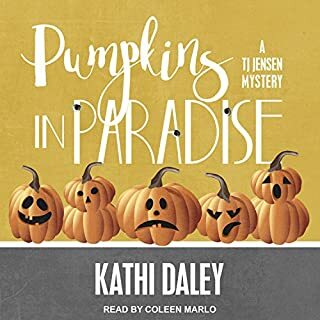 TJ Jenkins is approaching her high school 10-year reunion while still working as coach and PE teacher in Halloween in Paradise by Kathi Daley. She has to deal with bullying done by students, causing one girl to avoid school. Then Roy, the sole police officer left in Serenity, calls to alert her to the fact that Samantha Colton, a reporter from a television show that tries to solve cold cases, is poking her nose around the area and interviewing members of TJ’s high school class about the death of Holly, the class Homecoming queen who was killed the night of Homecoming. TJ has her interview with Samantha, who seems to try to implicate each member of the class who attended the party where Holly was last seen the night of Homecoming. Then, she learns from Hunter, her doctor boyfriend, that Samantha has been killed in a serious car accident, which might have been murder. TJ determines to keep up the work started by Samantha and figure out who was responsible for the death of Holly. 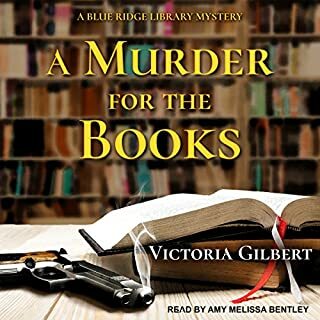 The deeper she digs into the case, the more she finds out Holly had many negative traits, blackmailing people left and right. With the high school graduating class being made up of some really influential people, it becomes obvious that a lot of people have too much to lose. It seems the current bullying problems are related to ones from the past. This book was very interesting, and I enjoyed it. But it was only 4 hours and 27 minutes, so unable to develop as fully as the book could have done. I question whether the author was just rushing to publish another book without taking the time to make it more detailed and complex. The many additions to the character list of former classmates at the reunion gets confusing at times as well. I do enjoy the characters, especially TJ’s little sisters, Gracie and Ashley, who seem so real as special children. I would love to visit Serenity (when there is no snow on the ground of course!) and get to meet all the people who live there. I also really like the dedication to animals that TJ and especially Gracie exhibit, as they seem to rescue another one in each book. 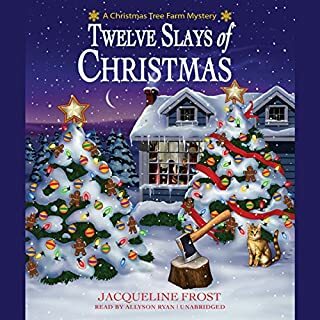 In this book, they rescue a golden retriever puppy lost in the bushes who becomes 2nd grader Gracie’s special friend Pumpkin. Coleen Marlo does a good performance in recording the audio edition of this book. She seems to belong to Serenity and dies a lot to help us feel that we are being taken there ourselves. 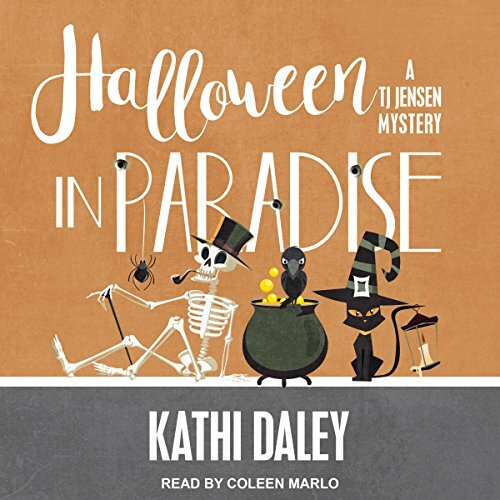 Halloween in Paradise was fun to listen to, but it did not contain the depth of a strong mystery book. It left me confused at times who certain characters were and threw so many new ones at me that I couldn’t follow the whole book easily. 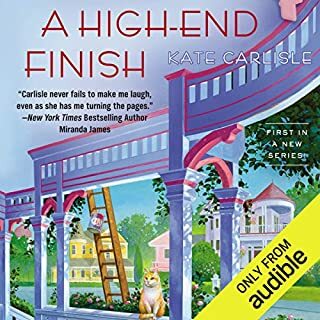 I really enjoyed the first few books in this series, but after this and the previous book, which also failed to live up to the standards set by Daley herself in her first few books, I think I’m going to give future books by Daley a pass. I give this three stars.